Free delivery for orders above RM 150 (Singapore addresses too) ! Tea Rose Clay Mask - for that special someone! Our Valentine's special Tea Rose Clay Mask is back this year! Packed with rosehip oil and natural rosebud petals - this creamy face mask helps cleanse pores, smoothen skin and repair damage or scarring. Brand new this year: We have a Tea Rose set! 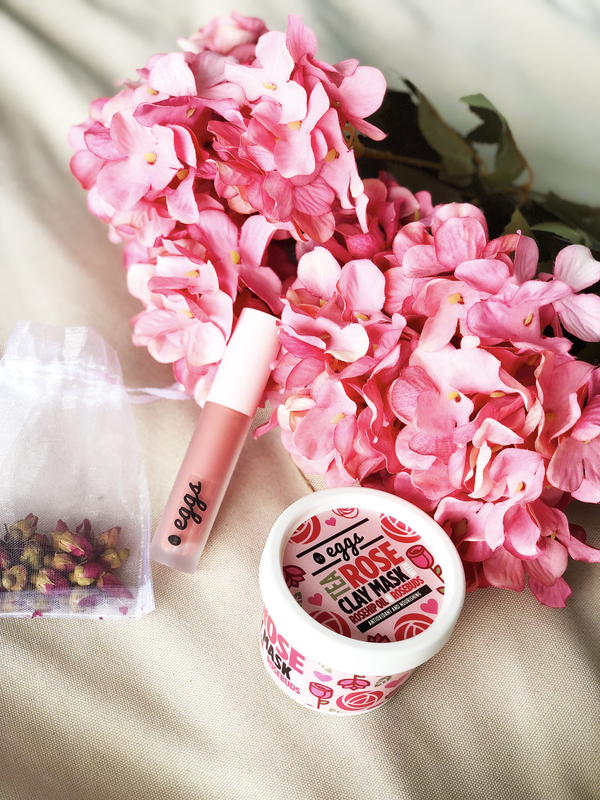 This beauty package comes with a Tea Rose clay mask, matte lip creme and also a rose pack. The perfect parcel for self-pampering, or even that special someone. By Eggs Café - now open!